Ancient Egypt is certainly one of the most remembered periods in history, and for good reason! It’s culture was unique. It’s Pharaohs, it’s many gods, it’s pyramids, and it’s mummies. What else is needed to cement it as a truly unique chapter in human history. Unfortunately we can’t go back in time to see what it was like. However, there are a number of feature films that give us a glimpse into it. Some of these movies are horrors, drawing from the mythology surrounding the period. Some are epics, focusing on great tales from the age. I will now list my top 10 films set in ancient Egypt. This is an all time classic. 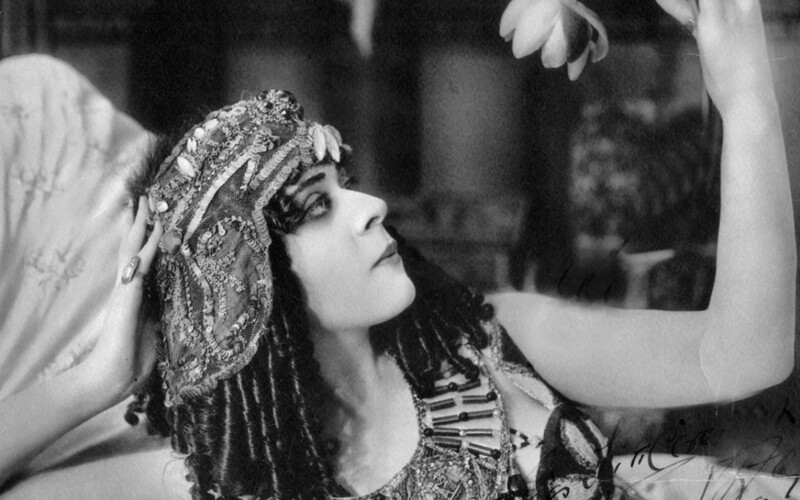 An epic focusing on the life of Cleopatra, perhaps the most famous Egyptian queen. The film is noteworthy for the massive costs involved in it’s production, with a budget of over 30 million dollars. Thirty million was a lot for the 1960s. It was so much that it nearly bankrupted the production company. Luckily the film was a massive hit. It tells the story of a young Cleopatra in her struggles against the Roman empire. The film won four Oscars and some consider it the best film of the 1960s – and for good reason too. The Scorpion King is a spin off from “the mummy” about a legendary warrior known as the scorpion king. He suddenly comes to the attention of the foreign army that is invasion his ancient homeland. He soon makes it clear that he is determined to lead a resistance to the invaders. With the help of a sorcerer, he seems almost invincible. It is set 5 thousand years before the mummy, and was a pretty big budget movie. About 60 million was spent and you can see where the money went. Though it is one of the many films set in ancient Egypt that feature non-Egyptians playing the lead roles. This is one of the few polish films set in ancient Egypt – a rare gem. It tells the story of a young Pharaoh in his struggle to maintain full political control over his kingdom. There are many who want to chip away at his leadership and gain some power for themselves. One of these groups is the clergy, who want to maintain Egyptian traditions. But the young Pharaoh wants to make some vast changes. He is naive and his judgement is poor. The film production is remarkable. It was filmed in Poland and Uzbekistan, which is an interesting combination. The Ten Commandments tells the story of Moses. Moses was an Egyptian nobleman who suddenly discovers that he is actually Jewish. Upon this discovery he makes it his mission to help his people. The Jews were enslaved in Egypt during this time so Moses sets out to gain for them their freedom. He receives the 10 commandments from god and gets to work spreading the message. It’s basically just the biblical story of Moses. I think most films set in Ancient Egypt are religious in nature. The Christians really locked down that genre. Speaking of religious films set in ancient Egypt, The Young Messiah is a fictional adaptation of the bible in which Jesus lives Egypt. It is a young Jesus, at just seven years old. He lives in Egypt with his family, who decide to move to Israel. This film tells the story of their journey home. The film only recently opened in movie theatres and was met by huge controversy. It’s critics say it contradicts the bible and that it is therefore blasphemy. But the producers insist that it’s in line with their personal interpretation of the bible. I always loved Asterix and Obelix books as a child, but I had idea there are a whole series of terrible movie adaptation. Asterix and Obelix Meet Cleopatra tells the story of the time Asterix and Obelix went to Egypt. While in Egypt, they meet a man who is overseeing the construction a a pyramid. So they decide to help him out a bit. Released in 2002, it was the most costly French film ever produced, with a budget of over 50 million dollars. It was a huge hit in France. But it didn’t spread much further than the French-speaking world. So I doubt you’ve heard of it. Animated films set in ancient Egypt are very popular with young children, in case you were wondering. The Prince of Egypt is an animated musical film about an Egyptian prince who discovers he is really Jewish. Let’s be honest, this is just an animated version of the biblical story of Moses. So the prince decides to help his blood relatives, who were enslaved the the Egyptian Pharaoh class. But the Pharaoh refuses to free his people. In retaliation, the prince contacts god and unleashes ten deadly plagues upon him. The plagues kill every Egyptian first born children. Which is pretty heavy for a children’s animation. Carry on Cleo is set during the Roman invasion of England. The Romans capture 2 native English and bring them back to Italy, where they join the Roman military. They are given the job of protecting the emperor on his travels to Egypt. They assist the emperor on his quest to make Egypt an ally of Rome. This is a genuinely funny comedy film, which cannot be said for most comedies from the 1960s. It’s port of a series of comedy movies known as “the Carry On” series. Carry on Cleo is often considered the best of these. In 2008, the Royal Mail produced images of the film on limited edition stamps to celebrate it. The three stooges made a career out of travelling through time with their bizarre characters in about 190 short films. In this movie, they are in ancient Egypt. They play used chariot salesmen who manage to con a high-ranking official into buying something worthless. This was a mistake. Plans are arranged to put them to death so they’re taken to the local palace. While there they gain the favour of the Pharaoh, who saves their life. In return for this, they inform him of a corrupt Egyptian noble. The Pharaoh is once again impressed, so impressed that he is willing to offer his daughter’s hand in marriage to one of them. They must decide who is to marry her. Only part of this film is set in ancient Egypt – most is set during the early 1900s. It tells the story of a British archaeologist and an American soldier who excavate the tomb of an ancient mummy. But their activity awakens the ancient king and he is free to seek revenge. Or something similar, it’s quite unclear exactly what he wants. He certainly want to reincarnate though, which involves stealing the life energy of other mortals. The film is hugely successful, being turned into a film series with two sequels and several spin-offs. Although I should say that the third film in the series was pretty awful. It was pretty awful. And most in the Scorpion king series weren’t exactly a hit with film critics.